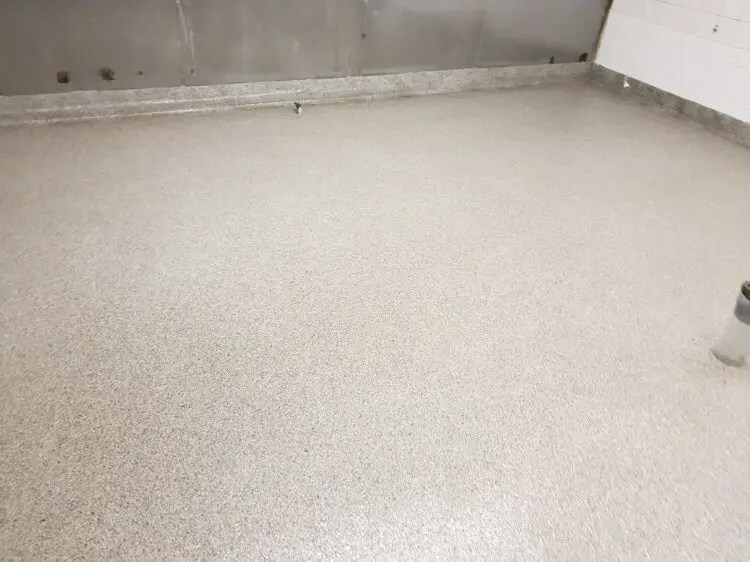 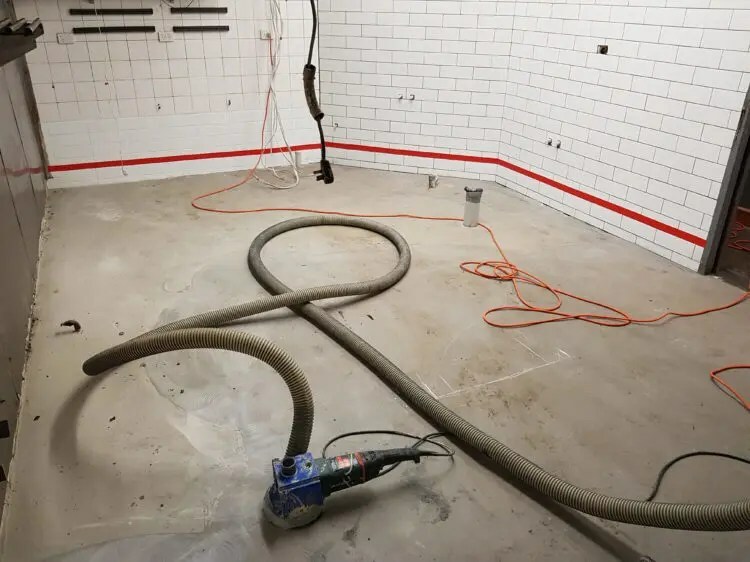 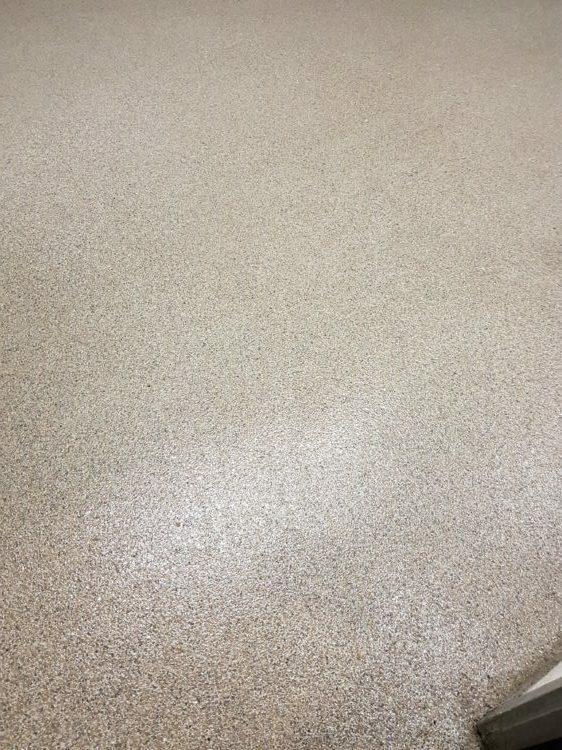 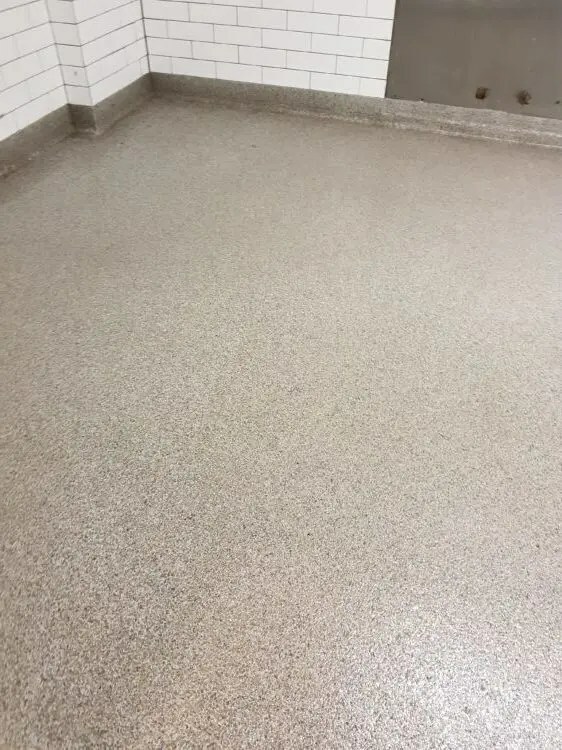 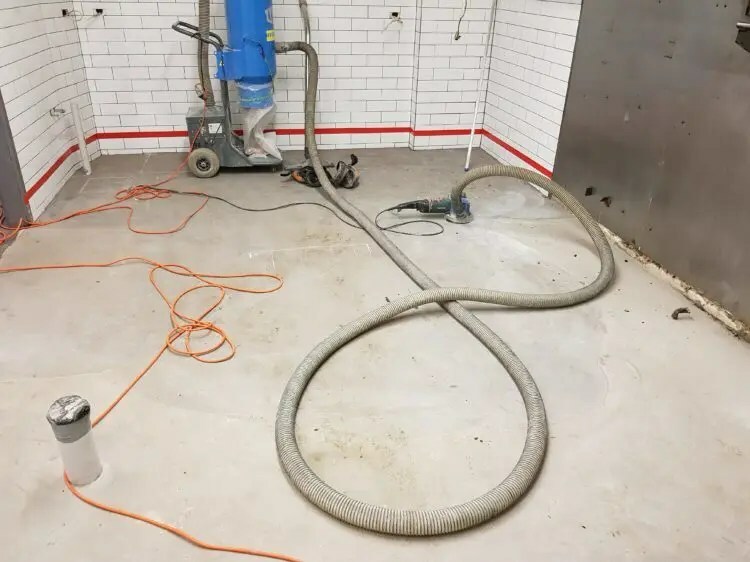 This project was a commercial kitchen floor in a restaurant in Carlton Melbourne. 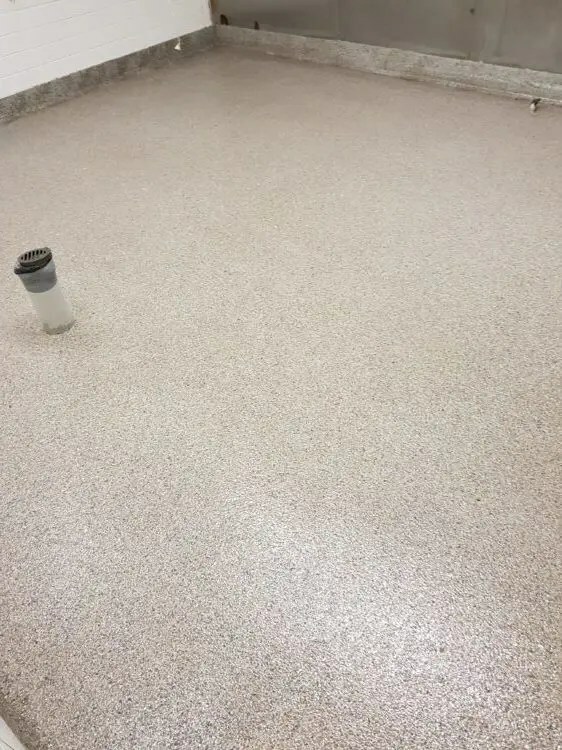 The floor needed to be grinding and then a leveling screed was applied to the floor. 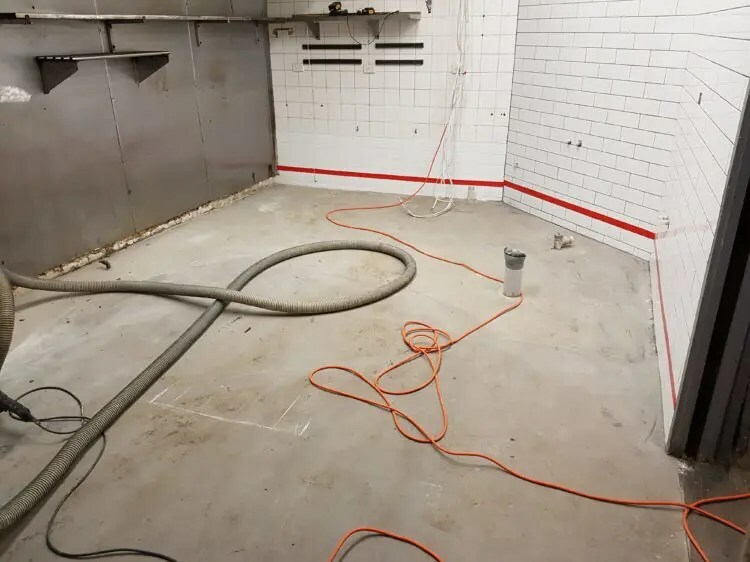 We applied an epoxy vinyl flake floor coating with coving 100mm high around the perimeter of the commercial kitchen.